In Koeman’s press conference before Everton’s final home match against Watford a headline bit of news was made- Barkley had until next weekend to sign a contract or would be sold. So far the supporters have in the main fallen in behind Koeman’s stance, yet the question can and will remain- how far does this announcement derail Everton’s ambitions to move forward? 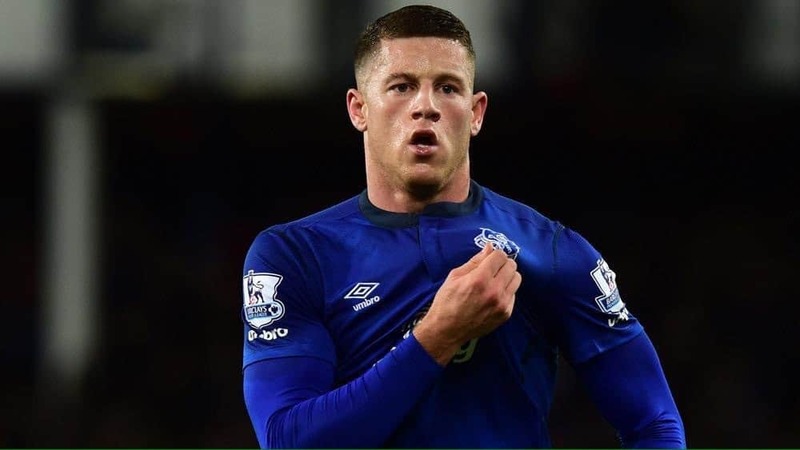 Ross Barkley has arguably become the biggest problem for Everton. On the playing side you can see a mercurially talented lad who doesn’t deliver on this as often or consistently as he should. Off the field, in a season where Davies, Calvert Lewin, Mirallas and Coleman have extended their stays, Ross has yet to sign a new deal. He was/is the great young hope and to lose him would be a symbolic act that could cause damage. He is a problem to Everton though you would hardly guess it with Koeman’s clinical language and approach minimizing wider concerns. Before we ponder on what this means more broadly, what might Barkley be thinking? With little inside knowledge much of what I propose is speculation though attempts are made to deal where possible with concrete evidence we have available. He has lost his place for England (I believe harshly) and at different times for Everton. Koeman has not been the most sympathetic to his difficulties with England, and in a dismissive way has said he needs to improve if he wants to play for England. Maybe Barkley views this approach as unsupportive and needs the clichéd “arm around the shoulder”. While there can be little doubt a Contract has been offered, we are still unsure of terms. Some speculate it is around the 70k p/w mark. Within the abstraction of football this is by no means groundbreaking. It’s not indicative of a club who view Barkley as their “main man” going forward or place a value on him in any equivalence to Lukaku. Is this what Barkley wants to see? Has Barkley done enough to justify this? It is my viewpoint that Koeman is unsure of Barkley. It’s not that I feel Koeman doesn’t rate him but more he is unsure exactly how to utilize him. Barring the occasional game it’s been hard to see him play with a level of responsibility that Davies, Schneiderlin, Gana or even McCarthy have in central midfield. When pushed further forward he seems to lack either the pace or end return in goals that Koeman may be striving for in those positions. While his performances aren’t universally poor he does resemble at times a central midfield player who is a little careless on the ball playing as a forward player, as opposed to a forward player. My opinion of Koeman is that he wants cogs in a wheel. He is not massively interested in players who don’t fit nicely into what he is looking for. He wants lad who can run and press defensively and contribute with goals and assists going forward. At present that system has not massively suited Ross and as yet he has yet to deliver the sort of return on goals that for example a Lukaku has which may have provided enough ammunition to Koeman to alter the system to get the best from him. I sense this is underpinning the value of the contract we have offered him. A player we want to keep? Absolutely. A player who is imperative to us going forward and we need to build a side around? Currently no. While much of the prognosis here will be best served in a separate article this summer represents a huge challenge to Moshiri. Losing Barkley and Lukaku a summer after losing Stones would not chime with “nothing will ever be the same”. For Evertonians of a certain age it would be akin to more of the same. Think Ball, Jeffers, Dunne, Rooney and Rodwell. All young players in the main sacrificed long before Evertonians were ready to let them go. I have little doubt Moshiri wants what is best for Everton however actions do speak louder than words. Could you imagine after a year or so at Chelsea Roman would have allowed the most talented 3 young players he had at the club to have left? Ask the same question of the Sheikh at City? If outgoings are met with a range of exciting incomings discontent may be thwarted however if a repeat of last summers transfer debacle is repeated I would anticipate some of the universal positivity that surrounds Moshiri to begin to be questioned. Legitimately Evertonians will ask how a regime that wishes to be the best can keep two figures who are tied to the decline and mediocrity (at best) of the club in the previous 15 years yet seemingly the best young players are allowed to walk away. Most of the young players sold above were done so on Kenwright’s watch and it won’t be lost upon people he and Elstone remain on the board. My own position for the last few weeks is that Barkley would leave and that while Koeman does not want him too he is ambivalent to the prospect. The links to Tielemans and now Klaasen- both midfielders who fit his role and have a far greater goal return indicated to me Koeman may go and sign a player who fits the mould of what he’s after as opposed to try to mould one. There’ a ruthlessness attached to the club now that has been missing for 25 years and maybe the departure of another young local talent differs from previous examples in that it is at least partly the clubs decision. As Evertonians we have framed young players leaving as an act of tragedy befitting an unequal commercialized game stealing our assets. The academy has remained the one area of the club we continue to look like Everton of old (we remain amongst the best) yet those players leaving was a cruel reminder of how far we’d fallen in other aspects. Perhaps it is these perceptions that now need to change. There’s no nobility in football and rather than being on the outside being a victim of it, we are increasingly going to resemble a club looking to succeed within the confines of this game? As for Barkley I hope he stays. I think Koeman has improved aspects of him game and feel another 12 months with him and he would improve further. I also feel Koeman is well aware of it and his words and actions are of a man who feels it would be Barkley’s not Evertons loss if he were to go. This may be true, without the support the local fan base affords him his inconsistencies may be more challenged. It may also be the making of Barkley. A manager like Pochetino who has massively improved other English players (Kane, Alli, Walker, Rose and Dier) and a career outside the goldfish bowl of Merseyside and the weight of expectation that Barkley seems to carry may be just what he requires? Whatever decision he makes Koeman has been right about one thing- that is that Barkley cannot just consider himself a young prospect indefinitely. While his record at the start of the season matched Scholes, Gerrard and Lampard at the same age, with 2-3 years all were playing central roles in winning their sides domestic and European trophies. Barkley’s unwillingness to sign a contract indicates a player who sees that process may be best served at another club.